Art Litigation: Will Austria Return Egon Schiele's Portrait of Wally? Today's New York Times obit of Rudolph Leopold makes passing reference to the fact that he was to stand criminal trial in the United States on July 26 on the issue of whether he knew that "Portrait of Wally" (above) - was stolen. After the Justice Department seized the work, my understanding is that it's been sitting in a warehouse in Long Island City, unseen by the public for over a decade. So Austria will now have to decide whether it wishes to continue to fight the US government or to throw in the towel and give Portrait of Wally back to the family of the art dealer from whom it was stolen. I understand that an Austrian paper reported yesterday that Austria would have a majority of the Board positions on the Leopold Museum, which makes it much tougher for Austria to continue to pretend that the Leopold Museum is a "private" institution, the fiction it has used to avoid returning stolen property up until now. Readers of Austrian tea leaves predict that the death of Hans Dichand, Austria's most powerful man and long-term Nazi sympathizer and anti-Semite, is more significant in determining Austria's approach to the problem. Leopold was under Dichand's political protection in Austria - he was an extremely powerful media mogul who made and broke politicians daily. Now that Dichand is dead, there is a much greater likelihood that many of the stolen artworks in the Leopold Museum will be restituted. Apparently, Dichand had a vast art collection that is not free of controversy. My previous posts on Rudoph Leopold, the Leopold Museum, and Austria's dithering here. Perhaps the New York Times will show a renewed interest in the topic of Nazi art looting. If U.S. papers like the New York Times cover these issues, it has a major impact in Austria. When U.S. papers ignore the topic, Germany and Austria seem to lose any momentum towards restitution. When artist George Grosz fled Nazi Germany in January 1933, he left his artworks in the care of Jewish art dealer Alfred Flechtheim. Flechtheim was the premier contemporary art dealer of the Weimar Republic. You haven't heard his name before and no one in the United States has even cared enough to make a Wikipedia page for him in English, even though our museums are full of works that passed through his hands. My earlier posts on him here . Big article in Welt Online today on Flechtheim here. Use Google Translate to read it if you don't read German, it predicts that the Flechtheim restitution litigation will be the biggest ever filed in Germany. My firm represents the heirs of George Grosz in trying to obtain restitution of artworks Grosz left with Flechtheim's gallery in 1933. Our complaint was dismissed pursuant to Rule 12 b 6 of the Federal Rules of Civil Procedure as time-barred based on a settlement communication sent by MoMA Director Glenn Lowry to a representative of the Grosz Heirs, which the MoMA claimed, and the district judge accepted, to be a "refusal" for statute of limitations purposes under New York's demand and refusal rule. I understand that MoMA made an informal presentation of its position to the NY City Bar Association's Art Law Committee, I am hopeful that we will receive equal time. Sculptures of locusts removed from a museum in Japan after the designer complained, HT Techdirt, stories here and here. Making fine art from materials in which trademarks appear is a common problem. 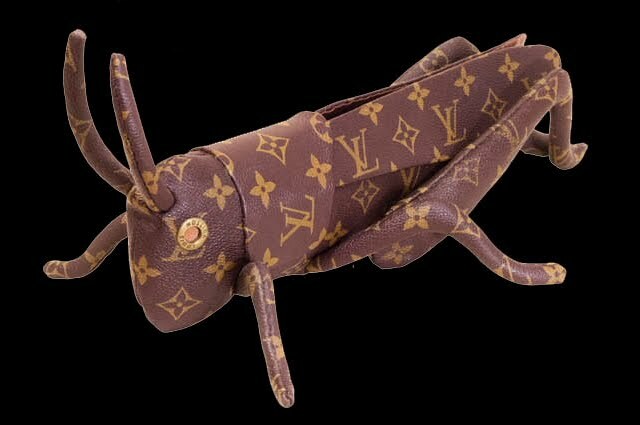 These locust sculptures were said by the artist to comment on the relationship between authenticity and imitation. Does an artist need to purchase REAL Louis Vuitton to make a statement about how fake Louis Vuitton is?How is displaying something in a museum perceived to be a commercial endorsement by Louis Vuitton? Art collector Rudolph Leopold died today in Vienna, Austria. In 1998, D.A. Robert Morgenthau seized two stolen artworks at the Museum of Modern Art that Leopold had loaned to the MoMA: Egon Schiele's Dead City and Schiele's Portrait of Wally. Leopold was scheduled to stand criminal trial this summer before the Hon. Loretta A. Preska in the U.S. District Court for the Southern District of New York after Judge Preska determined that Portrait of Wally was stolen. But MoMA returned the stolen Dead City to the Leopold Museum in Austria. 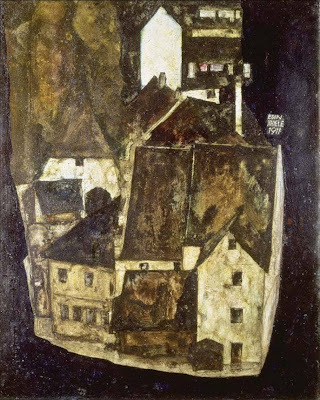 The Austrian Provenance Commission's head Dr. Christoph Bazil, has repeatedly promised to investigate Dead City's provenance and those of other Schiele's stolen from Fritz Grunbaum that are in the Leopold and Albertina Museums in Vienna, but after 11 years, no report has issued. 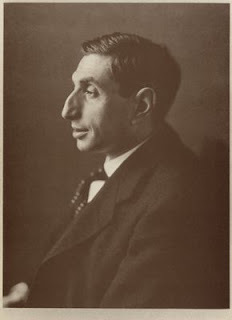 Austria purchased Leopold's collection and made Leopold director of the Leopold Museum for life. It remains to be seen whether Austria will carry through on its promises to investigate and return the stolen works in Leopold's collection. Article 26 of the 1955 Austrian State Treaty requires Austria to return all property stolen from Nazi persecutees. Yet Austria has not only failed to return the property, but repeatedly set up enabling legislation designed to frustrate claims and then let the legislation lapse. 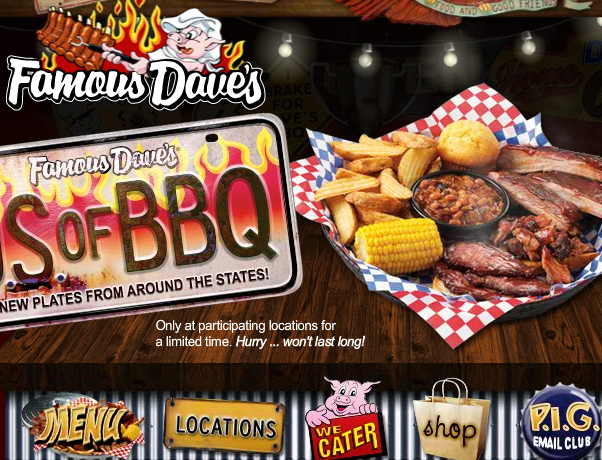 "Al is releasing all copyright, proprietary design and sign work to [Famous Dave's] in all other restaurants that he has worked on with the exception of [signature restaurants]." Quoting the Ninth Circuit, the Court noted: "A transfer of ownership requires no "magic words" to satisfy copyright law: even a one-line pro forma statement will do." The Court found the assignment to be a "clear conveyance". Practice Tip: An assignee is considered a "beneficial owner" of a copyright under the Copyright Act 17 U.S.C. 501(b) and is entitled to sue for infringement. I cover Copyright Ownership and Licensing Litigation in more detail in Chapter 8 of Copyright Litigation Handbook. If a Penguin gains enlightenment, is he an all-present universal Buddha? In the first reign of the Lord Obama the Hopeful, Grand Master Dan-Nay set out on the path to bring the power and light of the Master Penguin to the far reaches of the Lord's Empire and even beyond to the barbarian and unenlightened hordes populating the universe. I wrote on Penguin Group v. American Buddha, 09-1739-cv (June 15, 2010), a case involving New York's long-arm statute and addressing the issue of whether a copyright holder located in New York can sue in Manhattan for an infringement that takes place anywhere in the universe here. Andy Berger, sympathetic to Penguin, digs in further and has posted Penguin's briefs for easy reading here. I would appreciate anyone bringing thoughts, articles or posts on this topic to my attention. This is an important and difficult issue involving due process, the Constitution, the essence of a copyright, and the extent to which New York courts will subject the world to its jurisdiction. In a rare area of federal law that completely "preempts" state law, our Second Circuit Court of Appeals has made clear that it will defer to New York State's Court of Appeals. I am curious as to what the really smart law professors will have to say and whether American Buddha will have any amici. In Henley v. Devore (SACV 09-481) the Central District of California doled out a "sort of rough justice" and found that a politician whose campaign got a little crazy with a karaoke machine and a mashup campaign video engaged in copyright infringement. On June 10, 2010, summary judgment was granted, decision below. “The [fair use] doctrine has been said to be ‘so flexible as virtually to defy definition.’” Princeton Univ. Press v. Mich. Document Servs., Inc., 99 F.3d 1381, 1392 (6th Cir. 1996) (quoting Time Inc. v. Bernard Geis Assocs., 293 F. Supp. 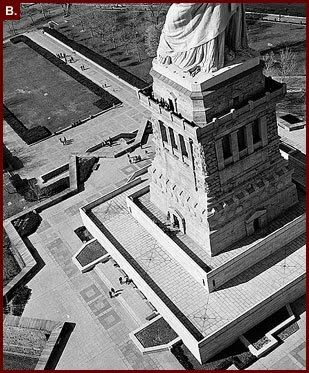 130, 144 (S.D.N.Y. 1968)). The case-by-case analysis resists bright-line determinations and the resulting decisions inevitably represent a sort of rough justice. After you read the decision, drop down for a genius mashup video of Sarah Palin yodeling for taxes. Note to file: yodeling and Sarah Palin is fair use, but Don Henley Barbara Boxer ain't. Since no one can define "fair use" - justice is really rough these days. I am one of the few that think electioneering is core political speech that is really really tough to trump and I note that the political history of our nation was forged by anonymous mudslingers slinging every conceivable mockery at one another. The Supreme Court's jurisprudence on political speech supports this view. I think that the district court erred because a politician's campaign video is not commercial speech (see p 18), even though the politicians want $$$$. In politics, the Supreme Court has ruled that money = speech. This I believe is at the core of the whole Obama/Hope poster drama, if you look at my posts on Shepard Fairey, it is explained there. But I been a liberal since I don't know when. "...it is virtually impossible for violations to go undetected on Wall Street today..." Bernie Madoff, in the 2007 YouTube interview I posted below. Watching the video is really like a punch in the stomach, and I didn't even lose any money. Another Bernie Madoff video was at issue in Stadt v. Fox News Network, 2010 WL 2540957 (S.D.N.Y. June 22, 2010)(SAS). Stadt had a 2003 copyrighted video of Madoff on vacation. He licensed it to Fox for a period to be labelled as a "Fox Business Exclusive" for $10K. After the license ran out, he caught Fox still using it and licensed it for an additional $50K. After that license ran out, he caught Fox using it again. After he contacted them, they stopped using it, but wouldn't tell him how many times it was downloaded after the license expired or give any information on how much money they'd made from it. He sued for copyright infringement and the following seven claims. Fox moved to dismiss pursuant to Rule 12(b)(6) of the Federal Rules of Civil Procedure, raising the issue of preemption. "Preemption" comes about because the Copyright Act says basically that the Copyright Act exclusively governs copyrights in 17 USC 301. So if the Copyright Act governs copyrights, how can state law govern copyrights? State law comes up when someone enters into a contract for the sale (assignment) or rent (license) of copyrightable subject matter. So a person's act may be both a copyright infringement AND a breach of contract. Sorting out which state law claims are "equivalent" to copyright infringement claims sounds easy, but in fact requires a careful, fact-based analysis. Practice Tip: Where a plaintiff has thrown in the kitchen sink in a copyright pleading and realizes that certain state law claims may not be worth fighting for, prior to any answer or summary judgement motion being filed, the plaintiff may simply file a notice of dismissal without prejudice under Rule 41(a) of the Federal Rules of Civil Procedure. This is a good idea in copyright litigations because at the end of the day, if one forces a court to resolve weak claims against you, it may affect/reduce an ultimate assessment of attorneys fees. An alternative, if you see that your Complaint failed to plead necessary elements (your adversary's motion to dismiss is likely to point this out to you, is to cross-move for leave to amend pursuant to Rule 15 of the Federal Rules of Civil Procedure with a Proposed Amended Complaint attached to your papers. FN29. See 17 U.S.C. § 301(a). FN30. Briarpatch Ltd. v. Pheonix Pictures, Inc., 373 F.3d 296, 305-06 (2d Cir.2004) (emphasis added) (citations omitted). FN31. Id. at 306. FN32. Id. (4) State and local landmarks, historic preservation, zoning, or building codes, relating to architectural works protected under section 102(a)(8). For the reasons set forth above, Fox's motion to dismiss the breach of contract claim is denied. Fox's motion to dismiss the breach of fiduciary duty and an accounting, section 349, unjust enrichment, and unfair competition claims is granted. These claims are dismissed with prejudice. Fox's motion to dismiss the conversion claim is granted, and this claim is dismissed with leave to replead. Stadt v. Fox News Network LLC, 2010 WL 2540957, 7 (S.D.N.Y. 2010). Conversion under New York State law requires a demand for the return of a chattel, and the holder's refusal to return the chattel. The court found that plaintiff's hadn't alleged a demand or refusal, so was granted leave to replead. In copyright cases a conversion claim usually involves something like masters or high quality originals from which copies can be made that the defendant failed or refused to give back. Chapter 10 of my Copyright Litigation Handbook is titled "Removal from State Court and Preemption". In it I discuss the preemption doctrine and how it applies in litigation involving copyrighted works. Will plaintiff really demand the return of the Bernie Madoff video? Stay tuned. I went to a cocktail party at a very swanky art gallery in Chelsea to celebrate the achievements of lawyers working pro bono for artists and the arts through Volunteer Lawyers for the Arts. The room was full of celebrity lawyers, friends, adversaries, former adversaries and artists who benefit from the programs. 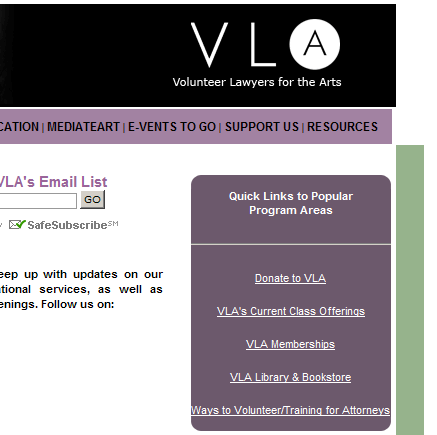 If you have an interest in being trained for pro bono projects or in participating, visit http://www.vla.org/. Special thanks to Sergio Munoz Sarmiento who runs the excellent Clancco blog which explores the intersection of law and fine art. From plaintiffs’ submissions on the motions, a jury could find that the defendants not only were generally aware of, but welcomed, copyright-infringing material being placed on their website. Such material was attractive to users, whose increased usage enhanced defendants’ income from advertisements displayed on certain pages of the website, with no discrimination between infringing and non-infringing content. At issue in the case is who bears the burden of policing for copyright infringements. Do copyright owners bear the cost, or do ISP's have to act as cops? The tenor of the foregoing provisions is that the phrases “actual knowledge that the material or an activity” is infringing, and “facts or circumstances” indicating infringing activity, describe knowledge of specific and identifiable infringements of particular individual items. Mere knowledge of prevalence of such activity in general is not enough. That is consistent with an area of the law devoted to protection of distinctive individual works, not of libraries. To let knowledge of a generalized practice of infringement in the industry, or of a proclivity of users to post infringing materials, impose responsibility on service providers to discover which of their users’ postings infringe a copyright would contravene the structure and operation of the DMCA. Judge Stanton appeared to be impressed that when Viacom gathered evidence of 100,000 infringing videos and sent a massive takedown notice, YouTube had the videos taken down by the next day. I discuss Cease and Desist Letters and Declaratory Judgment Actions in Chapter 6 of my Copyright Litigation Handbook. In Chapter 7, Drafting the Infringement Complaint, I deal with Internet Service Providers. There is a growing body of case law saying that you have to be pretty specific with your takedown notices and follow the rules in order to trigger liability of an ISP. In Viacom v YouTube, Judge Stanton notes that providing the URL (uniform resource locator) of the infringement is the type of information that would comply with the specificity required of a takedown notice. The 10th Circuit ruled yesterday against a group of distributors of foreign copyrighted works that had fallen into the public domain, but which Congress had restored copyright status by 1994 legislation implementing the Berne Convention, following the Uruguay Round of trade negotiations. The group, represented in part by Prof. Lawrence Lessig and the Center for Internet and Society, included a man who had composed a marching band song based on a Shostakovitch symphony that had fallen into the public domain. The situation arose because the US used to have a rule that if you didn't put a copyright notice on your work and register it with the US copyright office, it would fall into the public domain. Many distributors of foreign copyrighted works failed to put proper notices on them or register them with the copyright office. Notices and registration are known as "formalities". For a while, the US was a rare country that required formalities, most didn't, pursuant to the Berne Convention. The US enacted the Berne Convention Implementation Act in 1988 abolishing the requirement of formalities, but it did not restore copyright protection to foreign works that had fallen out of copyright. In 1994, Congress restored copyright protection to these foreign works (it was not automatic and involved some bureaucracy). People who'd used the works or created derivative works were supposed to work out reasonable license fees or have them fixed by the courts. 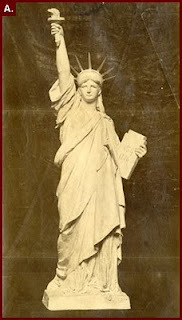 You can find the requirement of formalities in the Copyright Act of 1909. I have included the entire 1909 Copyright Act for easy reference as an appendix to my Copyright Litigation Handbook. My comments on ACTA here and here. When archaeologists go into the legal profession, they emerge pursuing cases that the rest of only dream about. If you have an interest in litigating over pirate booty and Cambodian buddhas while coming up with solutions to international terrorism, while pursuing Nazis as terrorists are chasing you, then this is the practice area for you. 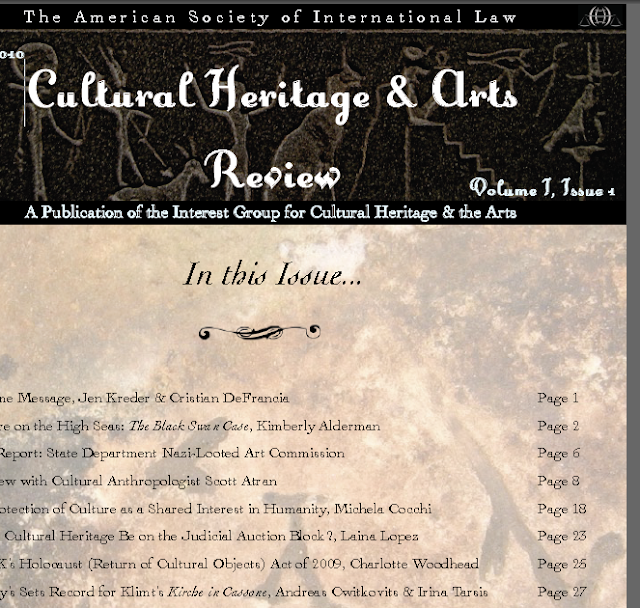 Cultural Heritage & Arts Review Here! The American Society of International Law Interest Group on Cultural Heritage & Arts has released the first issue of the new Cultural Heritage & Arts Review: http://www.asil.org/files/60/misc/Cultural%20Heritage%20&%20Art%20Review-I.pdf. If you open the attachment in Acrobat Reader, you can access a Table of Contents that allows hyperlink to the articles by clicking on "View" then "Navigation Panels" and then "Bookmarks." The Review also available in the "Group Documents" section of the Interest Group home page. A limited high quality print edition of this publication will be available soon, at a discounted rate for Members. Please contact Jennifer Kreder at krederj1@nku.edu or Christian DeFrancia at cdefrancia@mac.com if you would like to place an order for a print version. We are recruiting for editors and writers for the next issue, to be published in the Fall. Please contact us if interested. If you have not yet joined ASIL or the Interest Group, please do so at http://www.asil.org/membership-become-a-member.cfm. For those seeking audio of the recent panel about the proposed U.S. Nazi-looted Art Commission, it is available here: http://www.asilannualmeeting.org/products/individuals.cfm?yr=2010 (scroll down to Friday panels). The Cultural Property and Archaeology Law Blog here. The Illicit Cultural Property Blog here. Fair Use Fridays: Ripping DVDs For Documentary Films - Is There A Right To High Quality Free Speech? We know from the recent Salinger/Colting case discussed here that prior restraints on speech must be weighed when we look at injunctions in the copyright infringement context. The Digital Millenium Copyright Act makes it a crime to circumvent encryption to rip someone else's copyrighted materials. So isn't that criminal statute an impermissible prior restraint on free speech? Doc filmmakers can't make good quality films without ripping DVDs. They can get lower quality elsewhere. 2d Cir: The Long Arm of New York Copyright Holders: Can New York Copyright Lawyers Sue America Without Leaving Manhattan? 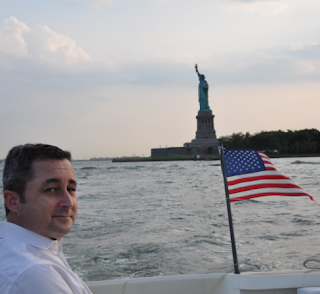 Manhattan is a great place to be a copyright lawyer. Since it is the publishing and advertising capital of the world, there is usually someone here in the infringement food chain. With a subway ride, we are in court. But how far will New York law, its long-arm statute, permit New York lawyers to pursue infringers who are not located in New York? The question is a major one. 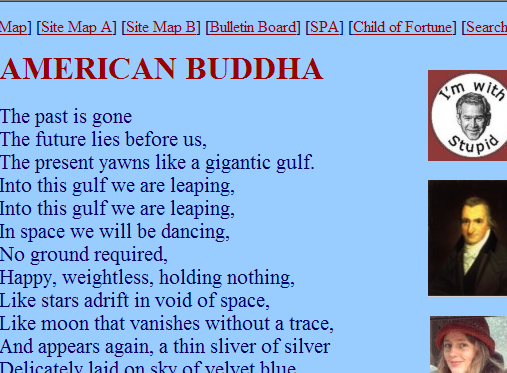 American Buddha put copyrighted Penguin works online, claiming fair use. People downloaded them outside of New York State. Is the economic injury felt by the New York copyright holder enough to support long arm personal jurisdiction in New York State? This is a debate of extraordinary importance for New York. The District Court dismissed the case for lack of jurisdiction. Where state law is unclear, a federal appeals court may certify the question to the New York Court of Appeals seeking an answer to the question. If the NY Court of Appeals says that New York's long arm statute provides no jurisdiction, the District Court's opinion will be affirmed. If the NY Court of Appeals finds jurisdiction, the Second Circuit has indicated that it will remand back to the District Court for further proceedings. In the coming year, expect a debate to rage in the copyright community, these are big questions that could reshape our entire legal system and our notions of due process in a digital world. 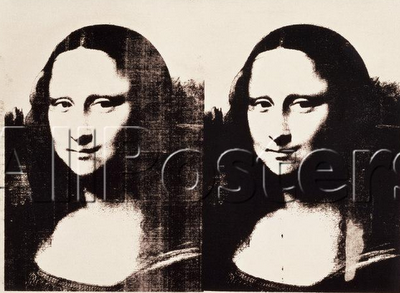 It is clear that Warhol was using Leonardo Da Vinci's public domain image of the Mona Lisa. He probably took the image from a photograph of of the Mona Lisa. The case law says that exact images of public domain works are not protected by copyright. But now we see Vik Muniz taking Warhol's arrangement of the "double" Mona Lisa - and putting Warhol's name in the title of the work - part of an ancient artistic tradition. Muniz selects the fine art medium of peanut butter and jelly to execute his work. Is the borrowing of Warhol's name and arrangement of a PD work ok? 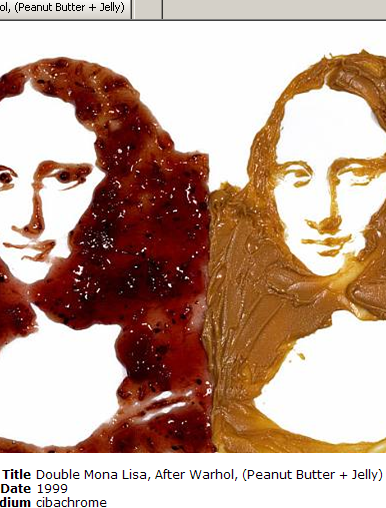 Does the selection of peanut butter and jelly drive the transformative nature of the work? And would the answer change if Warhol's work were an entirely original composition NOT based on a public domain work? And does the number of copies matter? I think Muniz's composition is strikingly original and beautiful masterpiece of 20th Century art. Some thoughts for Fair Use Friday. Meanwhile, watch the video to see whether scientists now believe that the Mona Lisa was pregnant. According to the article linked below, Austria's Provenance Commission has recommended the return of artwork stolen by the Nazis, but then blocked in Austria by a post-War export ban. After World War II, Austrian museums used the export ban to systematically extort Jews of their property. Today, American museums that hold property stolen from Jews systematically extort them in one-sided "settlements" wrapped in great confidentiality, and bury the research to conceal the wrongdoing of the museum's former trustees and employees. History will view this practice of systematic extortion by the members of the American Association of Museums with the same horror that we view the post-War extortion practices of the Austrian museums. Austria also let the Leopold Museum keep an extorted work on the false pretext that the government of Austria doesn't own the Leopold Museum, so a law covering "federal museums" doesn't cover it. This is a scandalous lie, since the government of Austria purchased Leopold's collection and will assume complete control of it on the death of Leopold and his wife. Leopold brought the stolen Schiele Portrait of Wally into the United States and is supposed to stand trial this summer on the issue of whether or not he knew it was stolen when he brought it here. Synchronizing Art to a Sound Recording: Do Financial Incentives Demotivate Creativity and Problem Solving? HT to Mike Masnick of Techdirt. Not only is Dan Pink's video by RSA Animate (embedded below) thought-provoking and relevant to whether or not money stimulates creative activity. It is also relevant to the core purpose of the Copyright Act and arguments raised in defense of draconian copyright: whether or if financial incentives stimulate creativity. Studies by the Federal Reserve and MIT raise the question of whether financial incentives actually decrease creativity. Anyone trying to get more productivity out of an organization without spending more money ought to take these studies very seriously. Far Copyleft folks see copyrighted works as mere free raw materials for creating new works. The far Copyright folks see a copyrighted work as a sacred, inviolable and untouchable iconic thing that may only be accessed when, how, for how long and as often as the copyright owner dictates. Far Copyright folks see a copyright as a complete monopoly from which windfall profits are to be extracted every time a new technology emerges to make a consumer's old licensed copy of a work obsolete or every time a consumer wants to use or dispose of the copy as he or she sees fit. The first sale doctrine lets us resell a car we've purchased without paying the manufacturer. Restraints on the alienation of property are disfavored in the common law because this blocks free economic activity. Should we have to pay a German copyright holder because we want to make fun of Hitler using the German copyright holder's ridiculously earnest economic exploitation of the Hitler theme in the film Downfall? Or does the exploiter of a theme have to take crap from people who want to laugh at them or laugh at sometimes serious, sometimes silly themes using them? The issue I think was wrongly decided in Dr. Seuss v. Penguin Books, a Ninth Circuit case decided in 1997. Here is how the court handled the issue of parody? It is the rule in this Circuit that though the satire need not be only of the copied work and may . . . also be a parody of modern society, the copied work must be, at least in part, an object of the parody, otherwise there would be no need to conjure up the original work. . . . By requiring that the copied work be an object of the parody, we merely insist that the audience be aware that underlying the parody there is an original and separate expression, attributable to a different artist. A happy town Inside L.A. Where rich folks play The day away. But under the moon The 12th of June. Two victims flail Assault! Assail! Somebody will go to jail! Who will it be? Oh my! Oh me! A plea went out to Rob Shapiro Can you save the fallen hero? And Marcia Clark, hooray, hooray Was called in with a justice play. A man this famous Never hires Lawyers like Jacoby-Meyers. When you're accused of a killing scheme You need to build a real Dream Team. Cochran! Cochran! Doodle-doo Johnnie, won't you join the crew? Cochran! Cochran! Deedle-dee The Dream Team needs a victory. These stanzas and the illustrations simply retell the Simpson tale. Although The Cat NOT in the Hat! does broadly mimic Dr. Seuss' characteristic style, it does not hold his style up to ridicule. The stanzas have "no critical bearing on the substance or style of" The Cat in the Hat. Katz and Wrinn merely use the Cat's stove-pipe hat, the narrator ("Dr. Juice), and the title (The Cat NOT in the Hat! ) "to get attention" or maybe even "to avoid the drudgery in working up something fresh." Acuff-Rose, 114 S. Ct. at 1172. 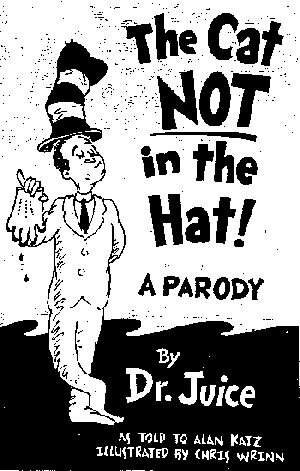 While Simpson is depicted 13 times in the Cat's distinctively scrunched and somewhat shabby red and white stove-pipe hat, the substance and content of The Cat in the Hat is not conjured up by the focus on the Brown-Goldman murders or the O.J. Simpson trial. Because there is no effort to create a transformative work with "new expression, meaning, or message," the infringing work's commercial use further cuts against the fair use defense. 9 Id. at 1171. So if I want to draw former President George W. Bush as Mickey Mouse and parody him by placing him in a Mickey/Minnie scenario, by this logic Disney can stop me from engaging in this core political speech because I am not making fun of Mickey, only of the former President. How to permit political speech, promote creativity and maximize economic welfare for both copyright creators and society in general are questions implicated in these debates, with the cultural pendulum slowly swinging towards the Remix culture camp. There are a few signs that legal culture is moving in that direction, with judges taking a more expansive view of fair use. When the Copyright Society had its convention in New Orleans a few years back, I was struck by the plight of Jazz musicians: they didn't have the right to a compulsory license. 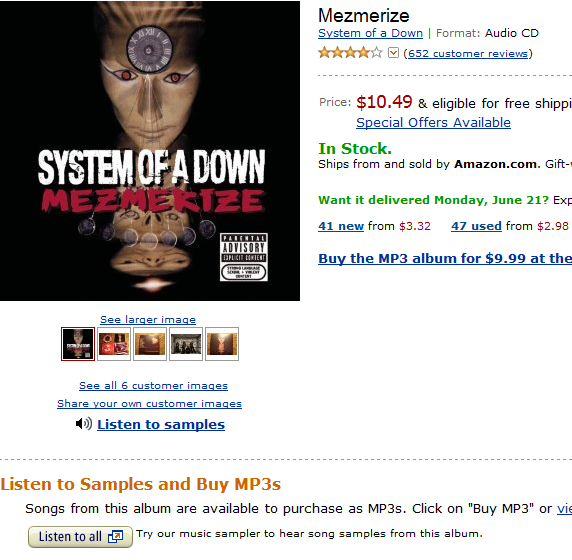 So a bunch of white kids doing an exact cover of a Led Zep tune can force Led Zep to license the song at a cheap rate. But Jazz - which remixes, rearranges and is an art form that is derivative - can't get a compulsory license, and the changes and modifications to the original can't be protected without an additional license from the copyright owner - even though a sound recording in a cover song can. According to the jazz musicians, the licensing practices of copyright owners have put them out of making a living and basically strangled their creativity. It was a heartbreaking presentation. Jazz and its successors which rely on sampling, borrowing, remixing - all activities emanating from African-American traditions - have been severely penalized, to the point of practical extinction. The Remix movie- with a white kid p/k/a Girl Talk at its center - shows how new technologies open up new creative possibilities. And as white kids start looking to play a kind of American jazz with video, it is more likely that the courts will be more reluctant to penalize and criminalize that activity. The video below is also a great example of using art to make a sound recording come alive through a new layer of creative labor. I have attached a checklist for practitioners who must file appeals with the Second Circuit. The Local Rules have changed, and with the changes wrought by electronic filing, it's a whole new world. I will participate in a CLE program today at 5:30 p.m. starring Catherine O'Hagan Wolfe, Clerk of the Second Circuit sponsored by the Federal Bar Association and the Second Circuit Judicial Council, you can find the program here. If I come across any new surprises tonight, I will post them.